I am thrilled to announce that now thirteen of my students and good friends have achieved the coveted title of NW3 Elite. 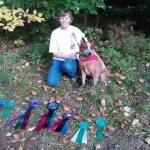 And, one of these handlers has achieved the NW3 Elite two times on two different dogs. The NW3 Elite title requires qualifying performances (i.e., a perfect score) in all four elements in the same trial for three different trials for title achievement. In 2013, Anne S, with her K9 Rockit, became the first K9 Nose Work Team on the East Coast to achieve the title of NW3 Elite. I cannot say enough how proud I am of Anne and of her dedication and of her focus. 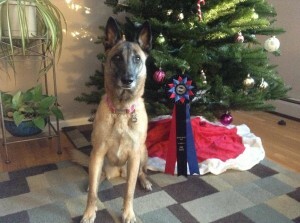 And, her little Malinois, Rockit, is just a super working dog. And, you can read a summary of Anne’s last NW3 Qualifying Performance below. 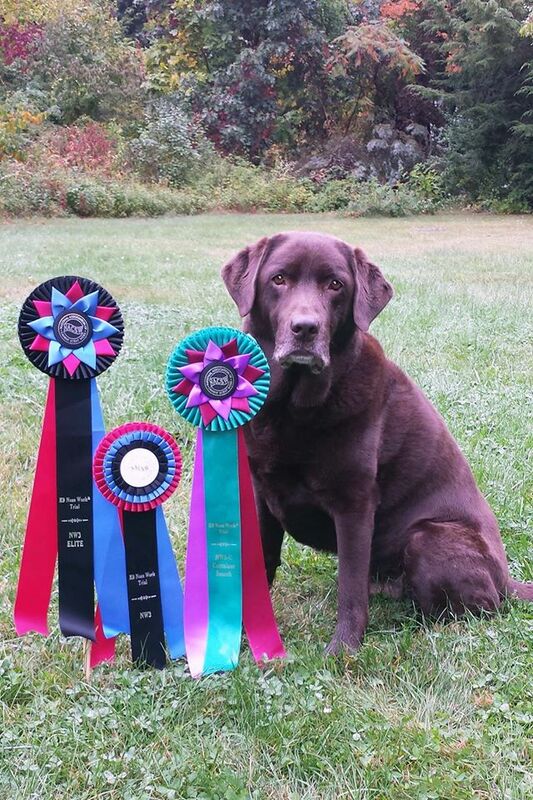 On October 3, 2014, Maria C, with her K9 Kirby, and Cheryn B, with her K9 Crook, became the second two K9 Nose Work Teams on the East Coast to achieve the title of NW3 Elite at the Lake George NW3 Trial. Given their dedication to the sport and to their training, it is no surprise that they each have achieved this milestone!! And in December 2014, Sandy, with her K9 Hope, achieved the title of NW3 Elite!! 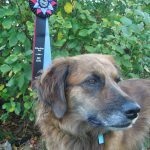 K9 Hope is a special dog and, through a systematic and thoughtful system of training, has just blossomed into an incredibly reliable dog. Yeah! 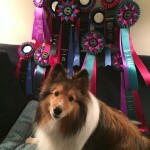 In March 2015, Karen D, with her K9 Taz, achieved the title of NW3 Elite!!! K9 Taz just grew into this sport, getting stronger and stronger in his work accuracy and his work ethic as the months went by. While he is retired now, we all have fond memories of watching the ‘Taz work!! 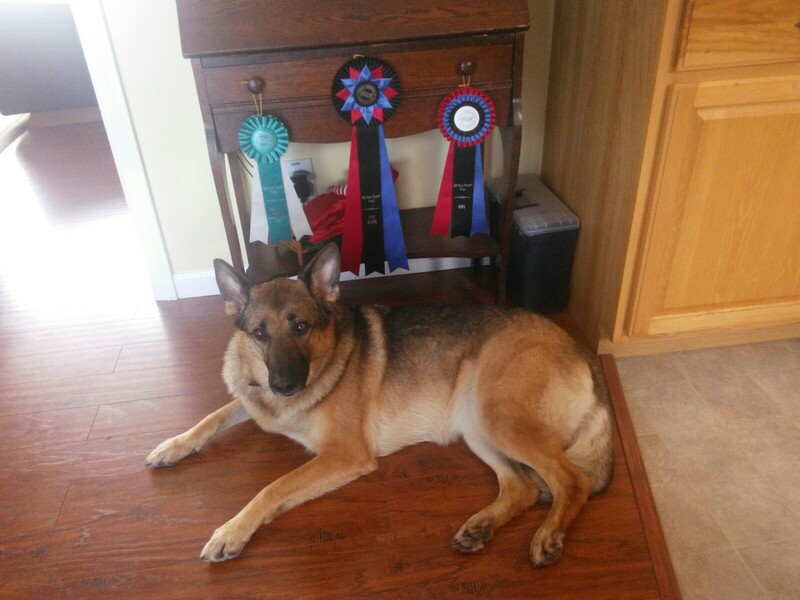 And then next, Natalie, with her K9 Thorfinn, achieved the title of K9 NW3 Elite at the NACSW NW3 Trial held in Millmont, PA on March 29, 2015. I cannot begin to describe how happy I am at their success. 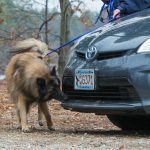 Like so many of my students, handling Thorfinn was Natalie’s first introduction into the world of detection dog training. 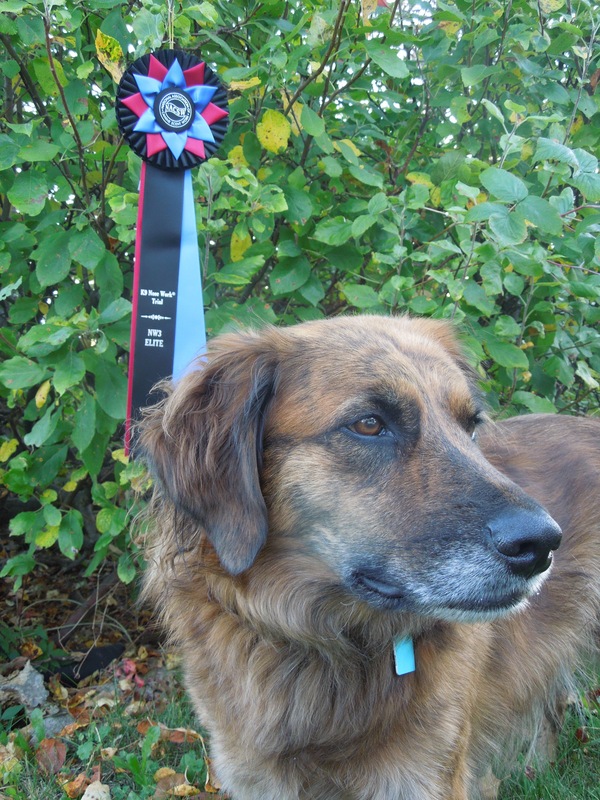 And, for Natalie, as well as for so many of my other students, this was the first competitive canine sport that they ever participated in. 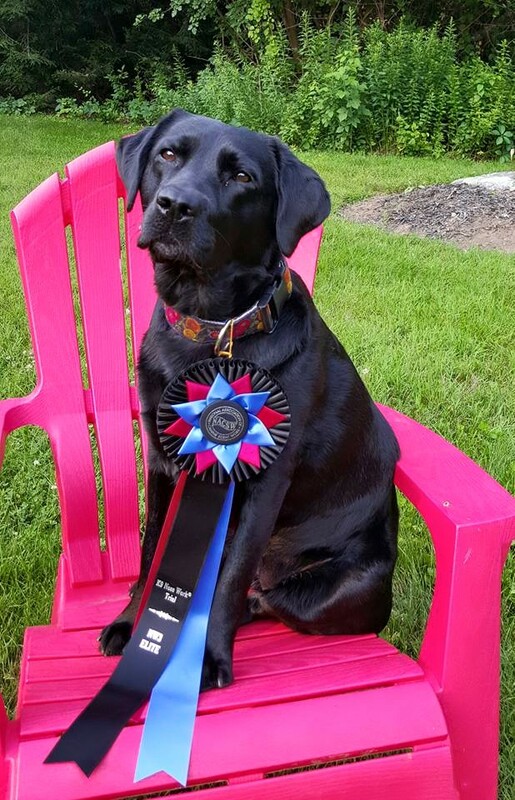 And then, on July 6, 2015, Maria, with her K9 Penny, achieved the title of K9 NW3 Elite at the NACSW NW3 Trial held in Huntington, MA. 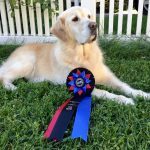 Achieving the title of K9 NW3 Elite with Penny made Maria the first handler on the East Coast to title two dogs — Kirby and Penny — to the level of NW3 Elite!! 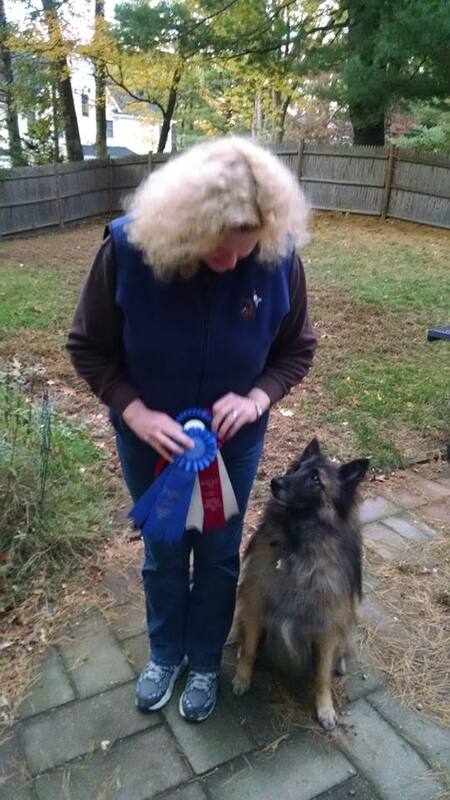 And, Maria is only the second handler in the whole country to have achieved this level with two dogs. That merits a HUGE congratulations!!! We cannot be more proud of Maria and K9 Kirby and K9 Penny!!! 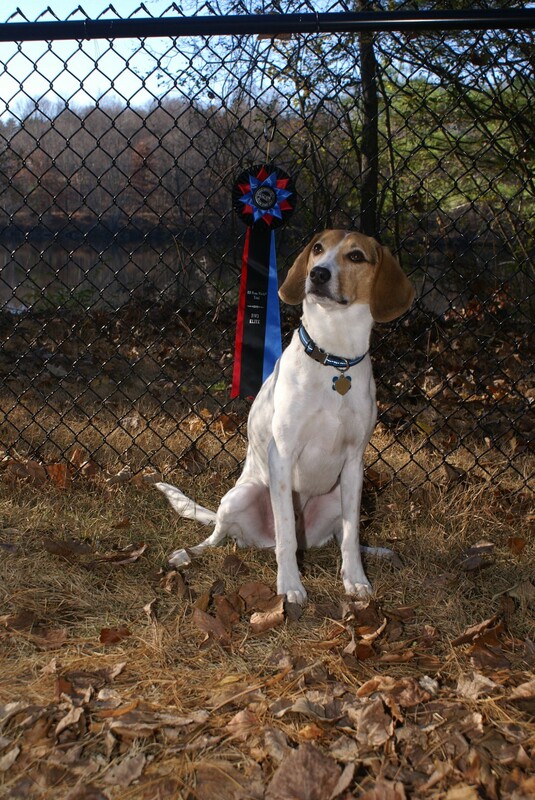 Also, Bob R, with his K9 Gilly, achieved the title of NW3 Elite on October 16, 2015 in Martinsville, NJ, placing 4th Overall in doing so. 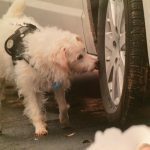 As I have been saying to Bob, I could tell that K9 Gilly was working strong and that he appeared “seasoned” and “experienced” in how he worked his search problems. So, I am not surprised that he did well at this last NW3 Trial. So, super congratulations!!! 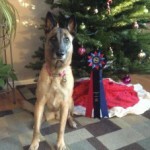 Also, Tracey, with her K9 Maisie, achieved the title of NW3 Elite on November 4, 2016 in Pomona, NY. 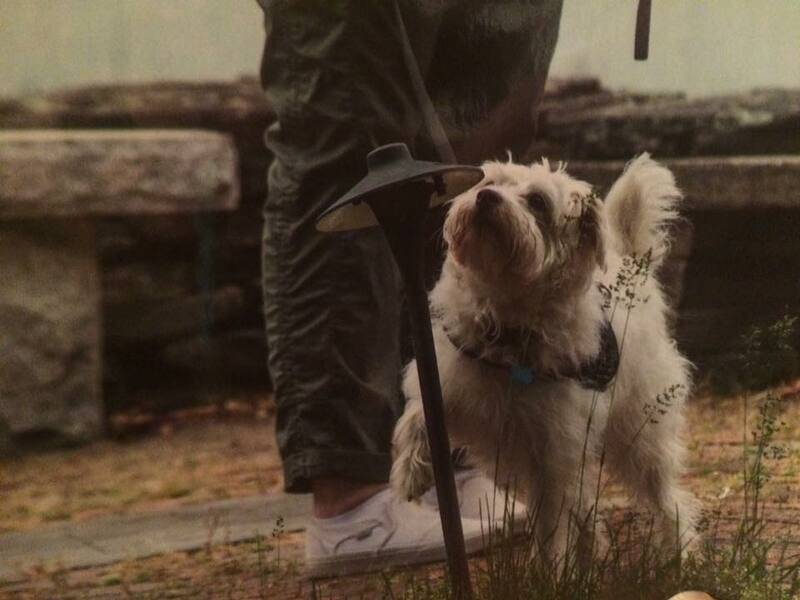 Maisie is the first West Highland White Terrier to earn NW1, NW3 and Elite. Given the talent and upbeat attitude of both Tracey and Maisie, achieving such accolades is not a surprise. 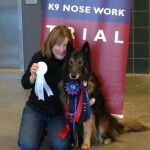 Tracey and Maisie are an inspiration to us all and I know they will go far in their K9 Nose Work career!! Onward!!! 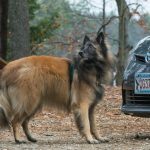 And, Beth, her K9 Issac, achieved the title of NW3 Elite on November 19, 2016 in Kingston, NH. Beth and Issac are an immensely talented team and we are not surprised at their success. We wish them the very best as they continue forward in their training!!! 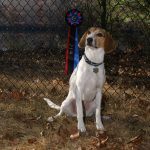 And then, Lisa, with her K9 Summer, achieved the title of NW3 Elite on June 26, 2017 in Huntington, MA. 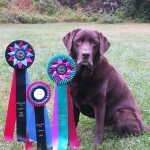 Lisa and Summer are a fantastic and talented team, so we all are immensely pleased at their success!! Huge congratulations are in order for them as well!!! 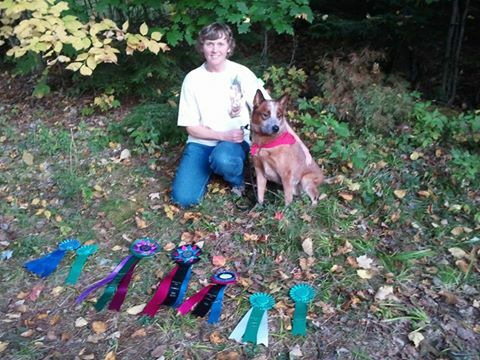 Finally, Liz, with her K9 Shelby, achieved the title of NW3 Elite on October 7, 2018 in Rindge, NH. Liz and Shelby are a wonderful and talented team, so we all are immensely pleased at their success!! Huge congratulations are in order for them as well!!! So, let’s all toot the horns of Anne, Maria, Cheryn, Sandy, Karen, Natalie, Bob, Tracey, Lisa, Beth, Maureen, and Liz and for that of all other handlers, who, like these handlers, have committed their hearts and souls to the sport of K9 Nose Work, and who have achieved so much!! Super!!!! Certainly, I have committed my all to my students and I revel in each of their success!! I am so very proud of each of these handlers. 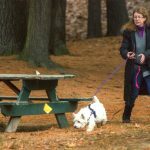 And, their thirteen dogs, Rockit, a Malinois; Kirby, a Labrador Retriever; Crook, an Australian Cattle Dog; Hope, a German Shepherd; Taz, a Belgian Tervuren, Penny, a Labrador Retriever; Thorfinn, a Shetland Sheepdog, Gilly, a Hound, Maisie, a West Highland White Terrier, Summer, a Golden Retriever, Issac, an All-American, Dermot, a Belgian Tervuren, and Shelby, a Long-Haired Jack Russell, are just super, super working dogs. May the “source” continue to be found by all these dogs!!! Achieving the NW3 Elite Title is an incredible accomplishment. Congratulations to all these handlers and their wonderful partners!!! On Monday of this week I competed in my fifth NW3 trial with Rockit. We went back to Lebanon, NJ, where we earned our first NW3 title last year. I have to give a special shout out to Karin Damon, Kathe Baxter and Donna Hreniuk for hosting so many NW3 trials in this area over the past year, and doing a great job of it! A major round of applause also to the volunteers and officials who braved the cold weather and snow for FOUR DAYS in a row and took great care of all us competitors. They kept things moving smoothly, kept us fed and made us all feel welcome. The weather on Monday was extremely cold but not very windy, and the sun was very bright in the late morning/midday. The ground was covered in crusty frozen snow and ice, but we didn’t have to walk too far to the search areas. I crated indoors with my friend Maria. Our Certifying Official was Jacy Kelly, and the judges were Sergio DeRojas and Amy Herot. Rockit and I were #13 in the blue group, which started with vehicles and exterior. Our time limits were (to the best of my memory, I didn’t write them down) 3:00 minutes for vehicles, 3:30 minutes for exterior, 3:00 minutes for interior search A, 2:00 minutes for interior search B, 2:00 minutes for interior search C, and 3:30 minutes for containers. 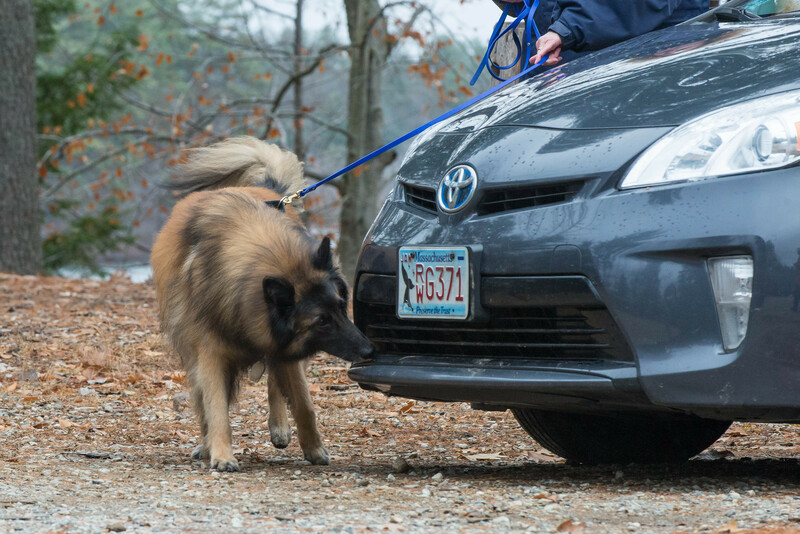 The vehicle search looked pretty easy, the only exception being that the ground was a bit icy. But it wasn’t actually very slippery. There were three vehicles, two small sedans and a golf cart. They were lined up end-to-end in a fairly straight line, but parked at slight angles. I set Rockit up at the start line — completely forgetting to check the wind, or bring my surveyor flag, duh — and let her acclimate for a couple seconds. 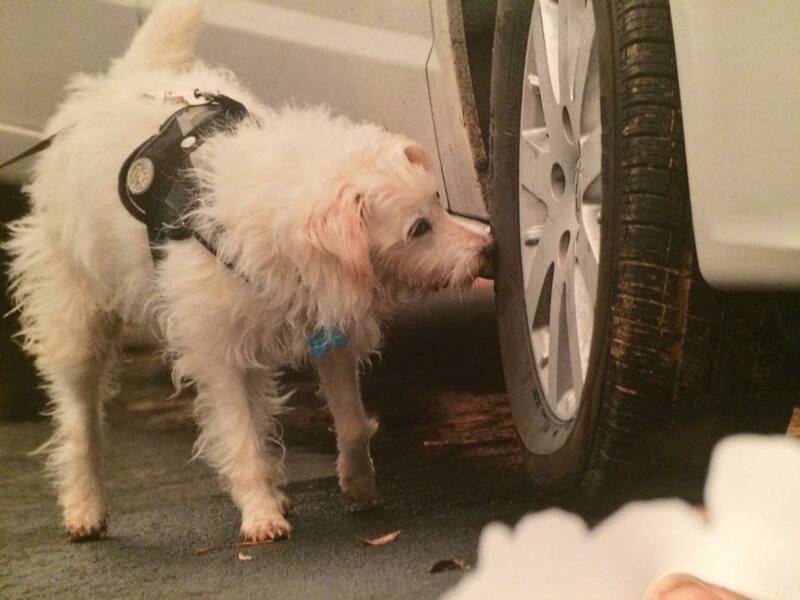 Then I gave her the search command and she ran toward the golf cart immediately. She sourced a hide on the side of the cart. I called alert #1. Then we moved to the small sedan parked next to the golf cart. She showed interest in this car, especially near the driver’s side. 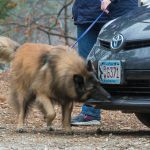 She poked around the wheel well, then moved to the front of the car, then back to the wheel, sticking her paw in a couple times. I called alert #2. 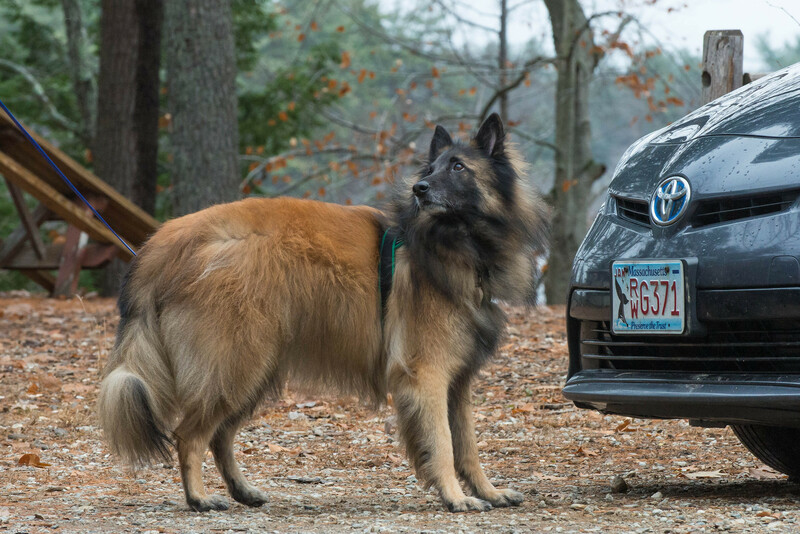 At this point I could see she was not interested in searching much more (hint, no more hides) but I made her cover the last car. She didn’t find anything so I called finish. Our search time was 1:26, and we earned a pronounced from the judge (Amy). 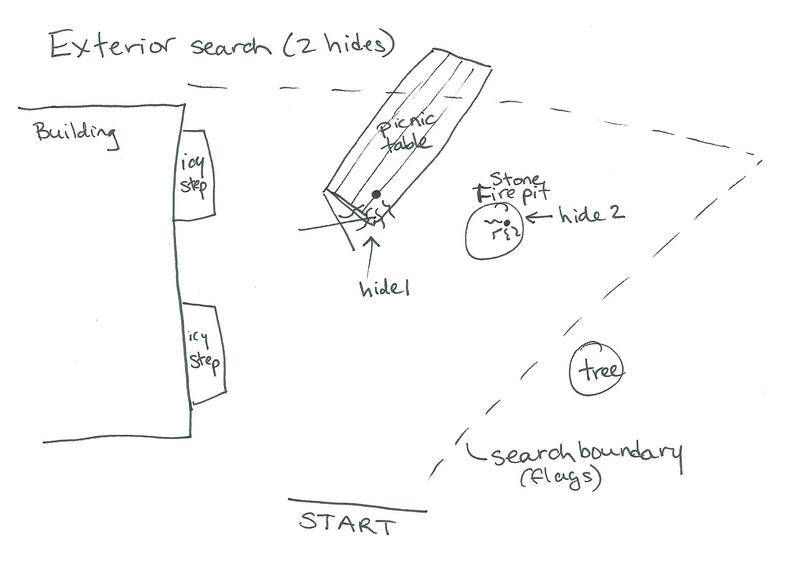 From there we moved right to the exterior search area, which was nearby (see diagram). 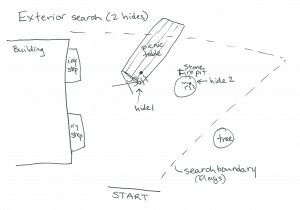 The area was a triangle, with a snow covered picnic table and a stone fire pit in the middle. The small edge of the triangle was the edge of a building with two very icy steps that we were told not to walk on. I let Rockit acclimate at the start line again, and I could see her nose twitching, so I knew she was already in scent. 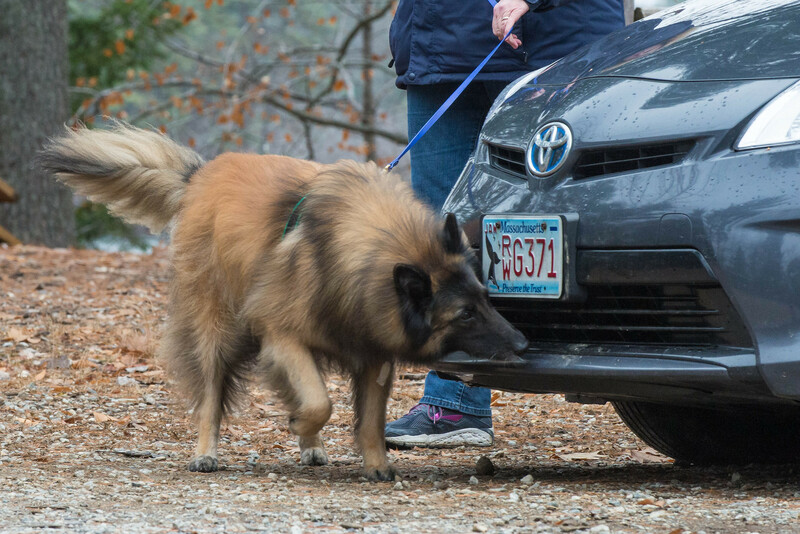 I gave her the command and she bolted across the start line and headed right to the picnic table, hit the underside of the front corner, and gave me an indication. It was so fast I wanted to make sure she had it right, so I waited her out a bit. She then jumped up and put her nose down on top of the table, in the same spot where she had previously indicated, so I called alert #1. The judge (Amy) chuckled a bit at that one. After a nice hot bowl of clam chowder from the potluck, we headed up to our interior search with judge Sergio. 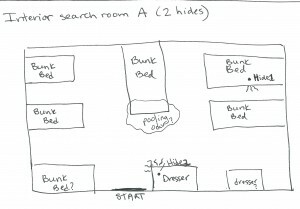 The first room was filled with bunk beds and dressers. The start line was the doorway which closed behind us, so I ran her off leash. She ran in with a purpose and I knew there was odor in the room, however she also missed a threshold hide. She ran around for a bit, then showed interest in one of the bunk beds. The beds all had little alcoves in the bottom for storing stuff, and Rockit stuck her nose way inside it, then lied down, so I called alert #1. Then she jumped up on top of the bunk bed in the middle of the room, which made me think it might have odor on it. But she jumped off, and made her way over to a dresser that was near the doorway that we had entered. She bracketed around the bottom corner of the dresser, then made an indication, so I called alert #2. After this I asked her to take one last look around the room, even though by this time I think she had already covered all of the search area. She showed a bit of interest in the middle bunk bed again so I let her check it out, but tried not to pressure her. She jumped up and targeted the top corner of the bunk bed, giving me a look. I had seen this picture before at a trial…right before calling a false alert. I trusted my instinct and called finish instead. 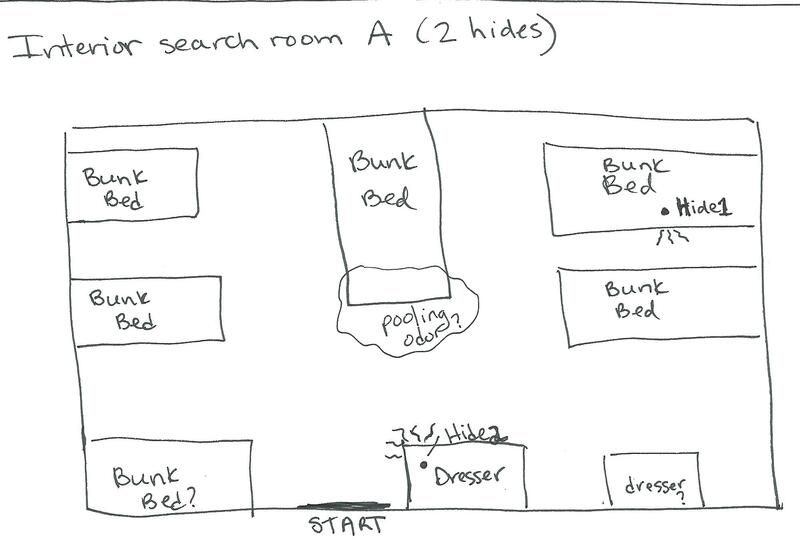 At the briefing, the judge informed us that the dresser with the hide in it had a hole at the back (facing the wall), so odor was probably coming out of the dresser and going all over the place. In retrospect, I think Rockit may have been picking up on pooling odor on that bunk bed. I think a few other dogs had also shown interest in that bed. Our total search time was 2:12. The next room was a small rectangle with a gaming table in the middle (air hockey or something, I can’t remember), and two soda machines, with a doorway at each corner. Two doorways remained closed, but the two at the far end remained open. I chose to keep Rockit on leash because I had a feeling it would be a blank room and if so she would immediately head out the door, so I didn’t want to waste time getting her back. Sure enough, as soon I sent her in, she headed right out the door at the far end, not showing any interest in the room at all. I pulled her back in with the leash, and she tried to leave out the other door. I pulled her in and wasted some time having her search the room. Duh. Called it clear, our total time was 1:11. 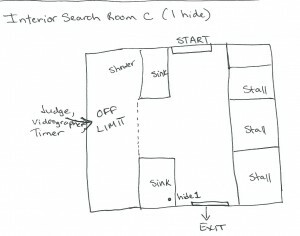 At the briefing, the judge for this room said “If your dog runs right out the door, call him back, put him on leash and call the finish.” He was right. I could have called this room clear after she tried to leave. 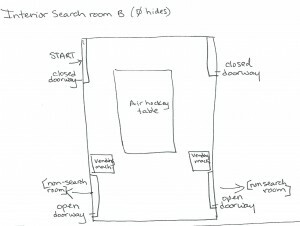 In retrospect, I realize that she was heading right towards the third search room which had odor in it. 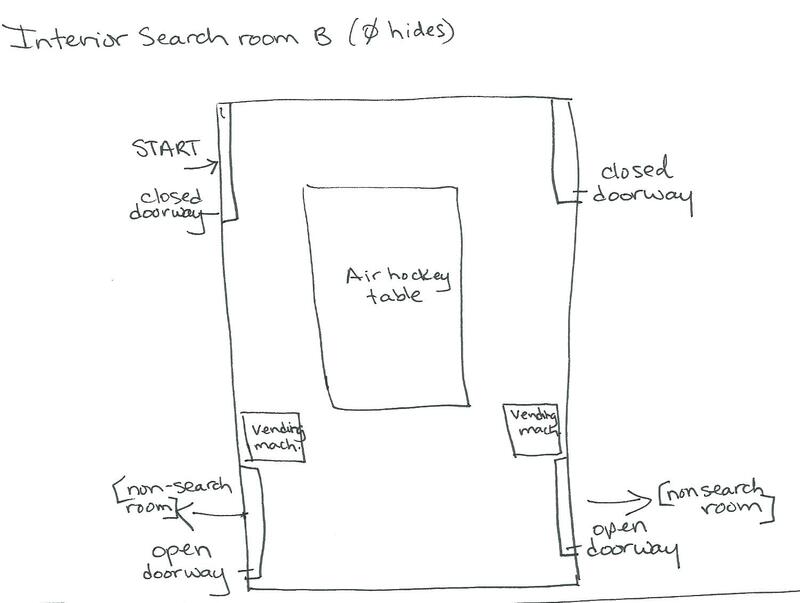 The third interior search room was a small bathroom with 3 stalls on the left and two sinks on the right. 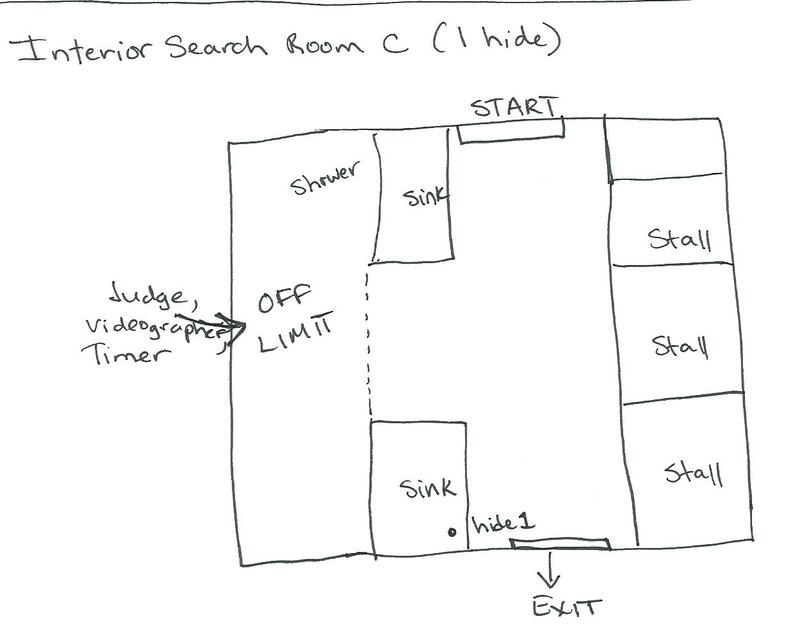 There was also a shower area on the right that was off limits so that the judge, videographer and timer could have a place to stand. The start line was the doorway. I let Rockit off leash and she went directly to the other side of the room. She took a few seconds to find the hide in the sink cabinet but she finally indicated so I called alert #1. I opened all the stall doors and had her check each one, but she didn’t show any interest. I had her scan the area quickly one more time to make sure we didn’t miss anything, then called finish. Our total search time was 1:38. I felt good about all our searches thus far. Last up was containers. They were in a large theatre room (same as last year) and the pattern was fairly simple, with three rows plus two shorter rows in between, a total of 19 containers. Most of the containers were small, and there were a lot of white boxes. Our judge was Amy. I set Rockit up at the start line and let her go right in. She sniffed several of the items, then hit on a black bag, indicating to me. I called alert #1. We headed off and I let her pretty much pick the path while I kept track of what she had sniffed. She hit on a tall red and white cooler that she managed to knock over. That startled her a bit but she stayed there looking at it, so I called alert #2. Yes! I had her check the rest of the containers quickly. She showed some interest in a grey plastic first aid box (I had her check it out to make sure she covered all angles of it) but I didn’t talk her into anything, and she didn’t indicate on it. So I called finish. Our total search time was 2:01 and again we earned a pronounced from Amy! I had a very strong feeling going into this trial that we were going to pass. Rockit is a solid worker and I knew what all my past mistakes had been, so I was determined not to repeat them. My motto for the day was “Get in, find all the hides, and GET OUT.” The longer we stay in, the greater the chance that I’ll talk her into a false alert. 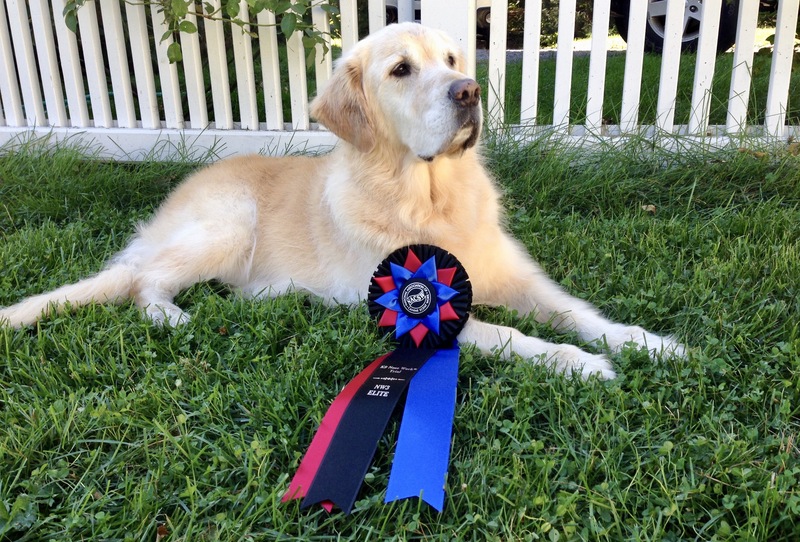 Much to my delight, we did pass all four elements and Rockit was awarded her NW3 Elite. Our total search time was 10:24:68 and we placed fourth overall. I’m very happy with how we worked together and that we earned three P’s from Amy Herot, one of the founders of the sport. At the judge’s briefing we learned that ALL TEAMS had passed the exterior and vehicle searches. In interiors, 11 out of 25 dogs passed, and in containers it was 13 out of 25. The distractions in containers were Babybell cheese, sugar cookies, and a mini kong (I think he said it was a keychain one). A few handlers called false alert on non-distractor items as well, I believe. Sergio talked about interiors a bit, and had everyone LOLing at his visual demonstration of a typical handler seeing interest from the dog, and then moving closer…and closer…and closer…until the dog says OH IT MUST BE HERE, EH! And we give the dreaded false alert. Jacy also talked about having as little influence as possible over your dog. If you can stand at the threshold, or in the middle of the room, and watch your dog cover the area, then stay there! When the dog finds a hide, step in and reward, and step back. Amy told the crowd that she was really impressed with the working teams she had seen, and that she gave out lots of P’s because of that. 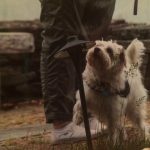 At NW3 level it is all about “jumping off the cliff” and having that complete trust in — and ability to read — your dog. And she saw lots of cliff jumping. Needless to say, this was a very special NW3 trial for us. 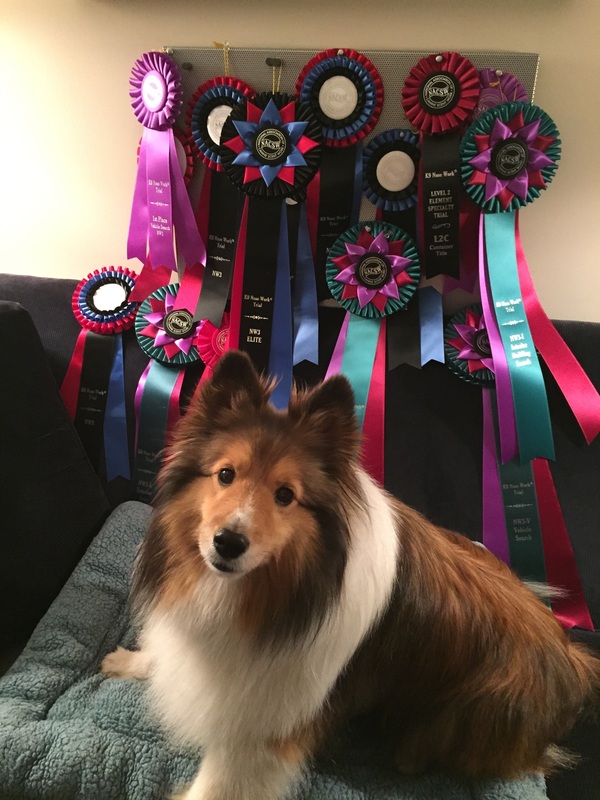 I feel very lucky to have such a fantastic dog for this sport. 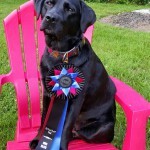 She has been easy to train and a joy to work with. 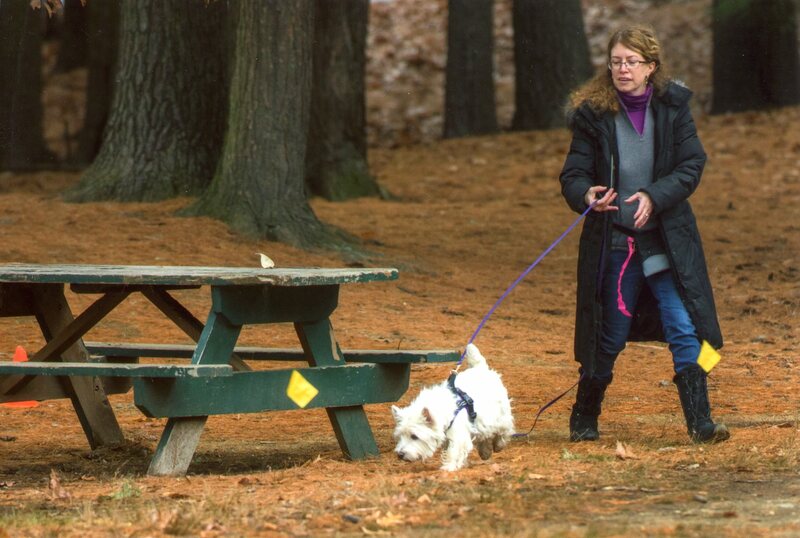 I am also lucky to be able to work closely with a wonderful instructor, Gail McCarthy of Scentinel Nose Work, who has been with us almost every step of the way. 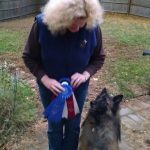 Her experience in working with scent and training detection dogs has been invaluable to me, which is one of the reasons why I’m happy to bring her expertise to others through my events business. I hope this recap has been helpful to future NW3 competitors. 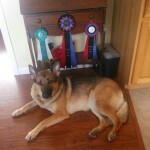 I love this sport and am glad I have another dog to continue competing with at the NW3 level.